Pedro Bizarro is co-founder and Chief Science Officer of Feedzai. Drawing on a history in academia and research, Pedro has turned his technical expertise into entrepreneurial success as he has helped to develop Feedzai’s industry-leading artificial intelligence platform to fight fraud. 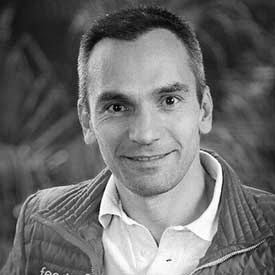 Pedro has been an official member of the Forbes Technology Council, a visiting professor at Carnegie Mellon University, a Fulbright Fellow, and has worked with CERN, the European Organization for Nuclear Research. Pedro holds a Computer Science PhD from the University of Madison - Wisconsin.